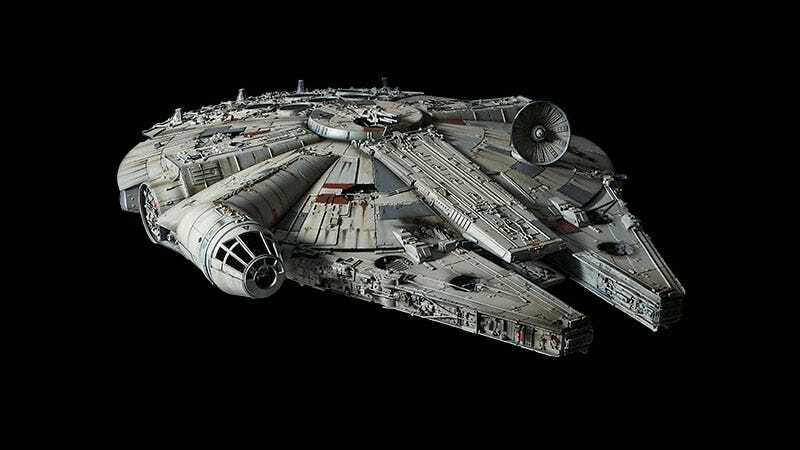 Bandai is releasing this 1/72 scale Millennium Falcon model kit that they “almost as precise and accurate” as the actual ones used in the filming of the classic trilogy. Seeing as the originals were themselves built using cannibalised model kit parts, and that the detail on this is astonishing, it doesn’t look like they’re kidding. Prices are expected to be around the USD$380-400 for this thing, which would be expensive for a completed, painted replica. But this is a model kit you’ll have to put together yourself—and there’s uncertainty over whether it arrives pre-painted or not—so that’s a lot of cash. But hey, if it helps it looks just like the real thing and lights up.